As the nation mourned the passing of 41st President George H.W. Bush, who died at age 94 on Friday, Nov. 30 at his home in Houston, TX, the Wake Forest community reflected upon his legacy and connections to the university. Before ascending to the presidency in 1989, Bush had served in the Navy as an aviator during World War II, was elected to the U.S. House of Representatives and became Vice President during Reagan’s administration. In the midst of his continual military and political activism responding to national issues, Bush also managed to spend time impacting the microcosmic political sphere of the Wake Forest community. On his journey to the presidency, he visited Wake Forest not once, but twice. His first appearance occurred in 1984, when Bush visited Wake Forest for Ronald Reagan’s Presidential campaign. He then returned in 1988 on Sept. 25 to garner support for his own Presidential campaign during a Presidential debate pitting him against his rival, Michael Dukakis, who was the Massachusetts Governor at the time. This Presidential debate was held in Wait Chapel, where the Wake Forest community gathered in anticipation of the arrival of the great statesman himself, George H.W. Bush. The magnitude of this debate propelled Wake Forest into the national spotlight and left behind a lasting legacy on the Wake Forest community. Alumni Mike Smith (’89, P’21) emphasized the beneficial impact of the 1988 Presidential debate. “The Presidential debate in 1988 was the first debate of its kind held on a college campus. Every student was able to be a part of history as George H.W. Bush debated Michael Dukakis in Wait Chapel to an audience filled with notable senators, Congressmen, Governors, media personalities and of course members of the Wake Forest community,” Smith said. During the debate, Bush and Dukakis advocated opposing stances on prominent issues that are still at the forefront of modern political conflict between Republicans and Democrats, highlighting issues that impacted students and engaging political thought and analysis. As the Democratic presidential nominee, Dukakis advocated a plan to help the underprivileged population and excoriated Bush’s participation in the Reagan administration, including the deal with Panamanian dictator Manuel Noriega. Meanwhile, Bush responded by upholding his work of striving toward world peace under Reagan’s administration and criticized Dukakis’ position on the political spectrum that was too far left to appeal to most American’s political leanings. For many, this event spurred political activism on campus as more than 600 Wake Forest students became involved with preparations for the Presidential debate. The writers of the Old Gold & Black at the time were even invited to the Pit, which according to former reporter Dan Drayer, was “converted into a command center for 2,000 national press writers and technicians,” so that students pursuing journalistic passions could gain experience observing and analyzing the debate alongside reporters, journalists and cameramen from prominent news organizations like CNN and CBS. 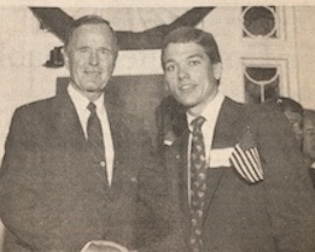 Other students in attendance that day were so inspired by the words of the future President that they began to pursue their own political ambitions, including Brian Yablonski, who became a personal staff assistant for President Bush after his graduation from Wake Forest in 1989. 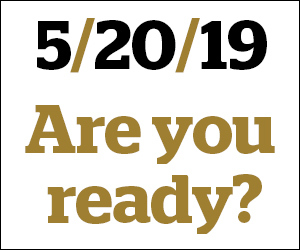 While Bush emanated a commanding presence community during his debate against Dukakis in Wait Chapel in 1988 that inspired political and intellectual engagement in the Wake Forest, his legacy continues to set forth an example for current and future members of the Wake Forest community. President of Wake Forest College Republicans Nick Reitzel attested to how George H.W. Bush’s connections to Wake Forest are furthered by the lasting impact of his dedication to community service. In fact, Bush’s charisma and dedication to improving the community through service and humanitarian efforts might have been what propelled him to victory in not only the Presidential debate held at Wake Forest, but also to the national forefront as one of the greatest Presidents in American history. Former Secretary of Transportation Elizabeth Dole attested to the power of Bush’s compassion that exemplifies the ideal of ‘Pro Humanitate’ and continues to inspire many today. “I thought George Bush really gave them a reason to stay with him tonight as he laid out his views on the issues. In terms of style, I thought that Bush was warm and human, and that Dukakis came off somewhat stiff and mechanical,” Dole said in an interview for the Old Gold & Black at the time. Current Wake Forest students fondly remember the warmth and determination that Bush exuded during his military, Vice Presidential and Presidential careers as they strive toward these ideals. Freshman ROTC member Ross Thomas also expounded upon the example that George H.W. Bush set for dedicating oneself to serving the community, whether through military service or political moderation. As both old and new members of the Wake Forest community remember President George H.W. Bush, they are reminded not only of his appearances in Wait Chapel, but also of the dedication to public service that the Wake Forest community continuously strives to attain through a “Pro Humanitate” lifestyle.